The album, which will also be the basis of a Broadway musical, includes the song Dead Man's Boots about a father passing his job to a son who doesn't want it. Sting, who never entered the shipbuilding trade of the area he grew up in and left his job as a teacher to pursue being a rock star, said his own father hadn't understood his decision. He said: "There were no clues in my environment that you leave that environment and fare well and be successful. My parents didn't really understand what my dreams were, they just thought I was crazy, because I had just given up a job with a pension and the security, in their eyes. "My dad really didn't understand till the end of his days what the hell I was doing. He thought that I should have had a proper job. Maybe he was right. I wanted to take a risk and be a star. I don't know where I got the confidence from. I just got lucky." 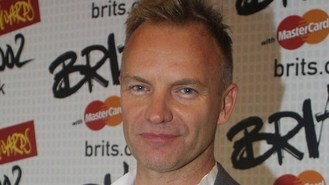 Talking about his change back to a Geordie accent for some of the songs on the album and in the musical, Sting said: "I used the dialect that I was raised in. "I only ever use it now when I threaten people or when I get really angry... My kids would always know I was serious when I start speaking in the weird voice. They're like, 'Uh-oh, he's speaking in that weird voice, he must mean it.''"